Pokémon: Let’s Go, Eevee! and Let’s Go, Pikachu! are coming to the Nintendo Switch next month, so now is the perfect time to have an event featuring one of the creatures in Animal Crossing: Pocket Camp (Free). The Poké Ball Scavenger Hunt is on now, featuring Eevee furniture and clothing and premium Poké Ball furniture. This event comes following an update to the game this week. The update includes automated sorting for collected items (thank you! ), the ability to look up at the sky, and a stamp system in the animal contact list for showing whether their special request furniture is ready to be or has been crafted. 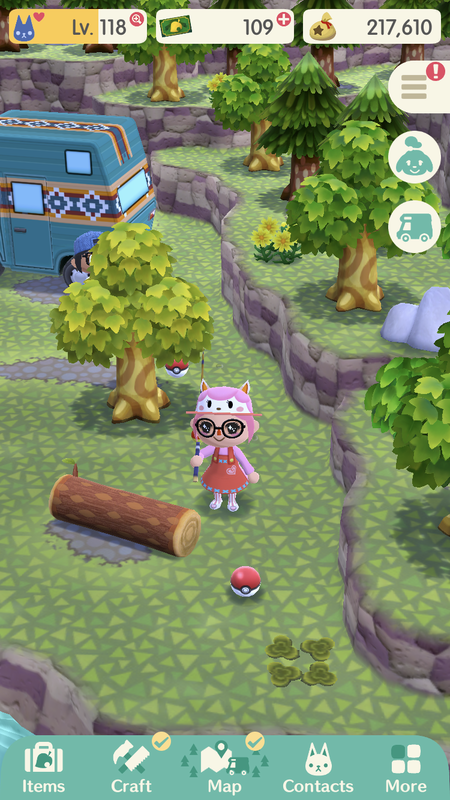 Animal Crossing: Pocket Camp‘s Poké Ball Scavenger Hunt functions like the Gyroidite Hunt events that have been feature in the past. Instead of Gyroidites, collect Poké Balls and trade them in for themed prizes. Poké Balls will be included in the rotation at the Quarry for the duration of the event. There are also prizes available only via Leaf ticket. All players will receive a free Eevee hood via their mailbox to begin the Hunt. 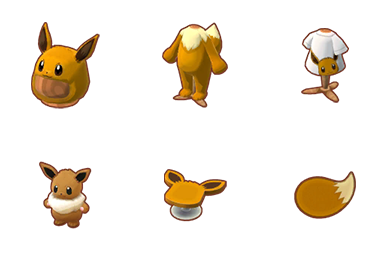 An Eevee costume and Eevee tee can be crafted using collected Poké Balls. Furniture items available to craft include a giant stuffed Eevee (which is beyond adorable! ), an Eevee table, and an Eevee rug. Poké Ball-styled items are also available during the Hunt, but they cost premium Leaf Tickets (LT) rather than Poké Balls. The Poké Ball rug costs 80 LT, the Poké Ball chair costs 50, and the Poké Ball decoration (not to be confused with the ones you’re collecting) costs 5 LT. The Poké Ball Scavenger Hunt runs until 2 a.m. EDT on October 23, but that’s not all that’s happening in Animal Crossing: Pocket Camp during the coming weeks. Considering Pikachu is nowhere to be seen, I’m waiting on news that there will be another event for Let’s Go, Pikachu!. Expect a Halloween fishing tourney, new villagers (and a higher level cap), and new fortune cookies soon. As always, I will be here to keep everyone up to date!